The ACLU is challenging a New Hampshire law it alleges is a backdoor way of making registering to vote more burdensome for college students, low income people and others in the state. The federal lawsuit filed Wednesday on behalf of college students in New Hampshire is the latest salvo in a long-running battle over student voting in the state. For years, Republicans have complained that any tight Democratic wins in the state — including Sen. Kelly Ayotte’s (R) narrow loss in 2016 — were the result of “out-of-state” student voters. The current law was passed by the GOP legislature and signed by Gov. Chris Sununu (R) in 2018. It came after other laws that discouraged students from voting were blocked by courts. The latest law is more subtle in how it goes after student voting, by changing the language pertaining to the state’s motor vehicle registration requirements. But its intent is the same, the lawsuit alleges, pointing to the comments made by its GOP champions. The 2018 legislation removed the words “for the indefinite future” from the law that lays out the requirement that residents register their cars and get New Hampshire driver’s licenses. Previously, that requirement was for residents who planned to remain in the state “for the indefinite future.” That phrase had distinguished those motor vehicle requirements from the broader pool of people in New Hampshire who may not be there indefinitely but would like to vote in the state. The lawsuit points to comments that the Deputy Secretary of State David Scanlan made in committee testimony confirming that the effect of the law is to force students who register to vote to pay the state’s motor vehicle fees if they drive. Not just college students are disproportionately affected by the law, the lawsuit contends, but also hospital residents or contract workers in the states. The complaint alleges that thus law violates the First and 14th amendments of the Constitution, as well as the 26th Amendment, which lowered the voting age to 18. It also alleges a violation of the 24th Amendment’s ban on poll taxes. Named as a defendant in the lawsuit is New Hampshire Secretary of State Bill Gardner (D), who served on President Trump’s disbanded voter fraud commission. The state’s attorney general, Gordon McDonald, is also a defendant. Gardner, who is ostensibly a Democrat but has sided with Republicans on other voting restrictions in the past, supported the law. 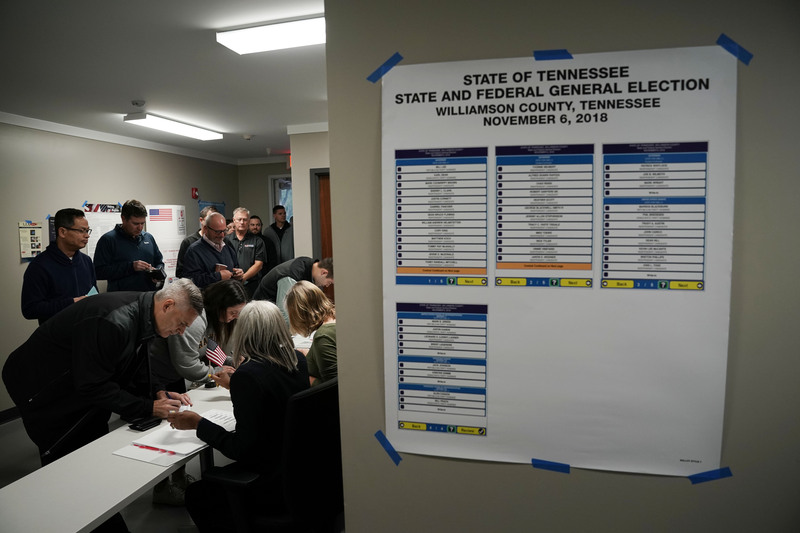 His office lent some of the most vocal support for it, which the lawsuit says shows that it was intended as a voting restriction rather than a DMV law. “New Hampshire’s Division of Motor Vehicles did not propose or take a position on this legislation, nor did it offer a cost estimate,” the lawsuit says. Gardner last year nearly lost his decades-held position, which is chosen by the legislature, after a Democratic revolt over his tendency to side with Republicans in voting battles. Among Democrats’ complaints was his presence on the Trump voter fraud commission, whose leader, former Kansas Secretary of State Kris Kobach, alleged baselessly that there was mass voter fraud in New Hampshire from out-of-state voters.